But, “If that doesn’t happen, I’m willing to go to the other route,” he told Breitbart News in an interview on Tuesday. “If I’m attacked I have to, you know, do something back, but I’d like it to be very civil,” he also told ABC News. 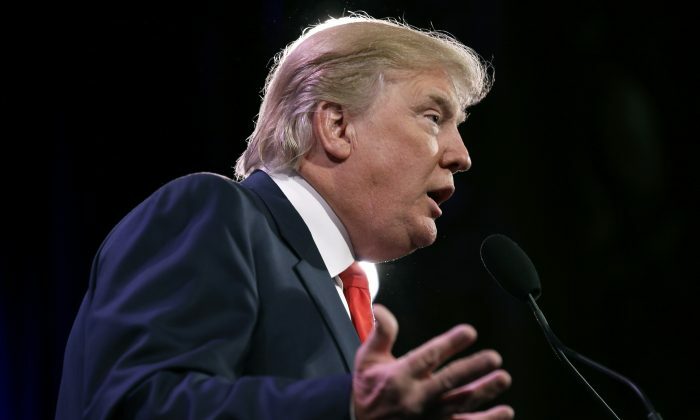 Trump, according to several recent polls, is the current Republican front-runner. Former Florida Gov. Jeb Bush is in second place. The billionaire businessman’s opponents are trying to figure out how to attack him. Trump added that the candidates who directly went after him went down in the polls. “And I find that really interesting,and I find it a great honor that that would happen, because in all fairness Lindsey Graham and Perry were really hitting me hard, and they went down in the polls. I am greatly honored by that,” Trump said. Perry and Graham, his two most outspoken critics, won’t be in the debate. Trump will go against nine other candidates who scored the highest in an aggregate of polls: Jeb Bush, Scott Walker, Mike Huckabee, Ben Carson, Ted Cruz, Marco Rubio, Rand Paul, Chris Christie, and John Kasich. Trump added that he’s excited to be in the debate.